Nothing is as sweet as this life changing quotes thanks for lifting my soul up again. It has really inspired me keep on posting.. God bless u.. Very amazing, it would be a turning point for some… keep posting, thnk u. These are mind blowing comments which keep us away from the day to day worries and keep us fresh. I loved this story ! Choose a girl or guy who brings you to meet his or her parents, not his or her bedroom…Laughing Out Loud!! Perfect advice for us youngsters, thanks a lot. Thanks to motivate me……. very thanks. Good appreciable quotes, All the best. I truly appreciate all this. This has got to be one of my favorite, all time quotes. Thanks for sharing these. Sometimes I feel like I worry and worry and it just never seems to solve anything. I have a child with special needs, it’s hard to worry, but at some point you just have to let go, relax, and enjoy your life! 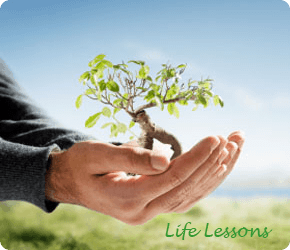 Very inspiring lessons…live life to the fullest…not with foolishness. This page is amazing. I read them when my brain is completely stressed out while working on reports. I feel good after reading few stories. Trust me, after reading I feel I live my life complete. It realy gave me a lot of things to remember and tips to have a peaceful life. Thank you very much. Good, keep on posting, which helps others. After reading this, I felt if I was inspired by these Life Lessons that I have truly experienced ..
All of these life lessons made a lot of sense. The most one I relate to is of Van Wilder about worrying. Thank you for teaching us to be wise. Next post: Who named the Curiosity Mars rover?